I got a TTM success from a guy I should have sent a ball to back when I was sending out baseballs. 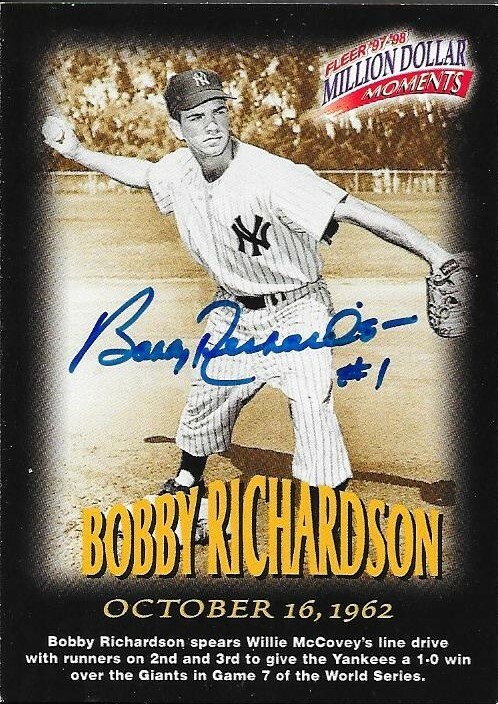 Bobby Richardson has a really nice signature as you can see. 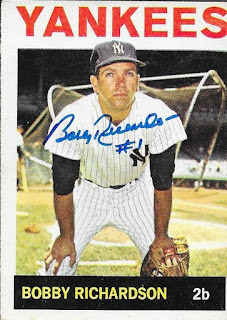 I was able to get him on a 1964 Topps for the Topps Autograph Project and, luckily, I found another card of his that I was able to send out. This is a 1997-98 Fleer Million Dollar Moments card that I was able to get signed as well. 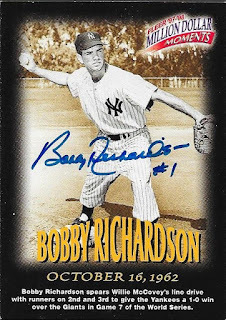 Richardson's signature looks really great on this card, maybe even better than the 1964. Richardson (b. 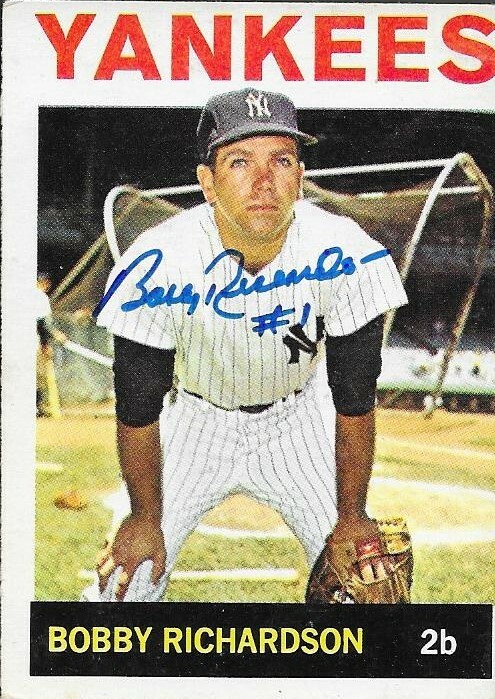 1935) played in the majors from 1955 to 1966 for the Yankees. He had 1,432 hits, 34 home runs and a .266 career average. He was an All Star 7 times and a Gold Glove winner 5 times. His best season was 1962 when he finished second in the AL MVP voting after collecting 209 hits, 8 home runs and a .302 batting average. He was also the only player to win a World Series MVP Award (1960) for a losing team. I mailed to Richardson on March 11 and got the cards back on April 18 for a 38-day TAT. 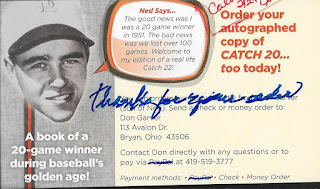 One of the coolest TTM successes I have gotten so far since I started this project was from a really unexpected source. I mailed to John Donaldson for a couple reasons. I had this 1968 Topps in my vintage Topps box, and I saw that Donaldson signed TTM, so I wanted to add a better signed 1968 to the Topps Autograph Project. 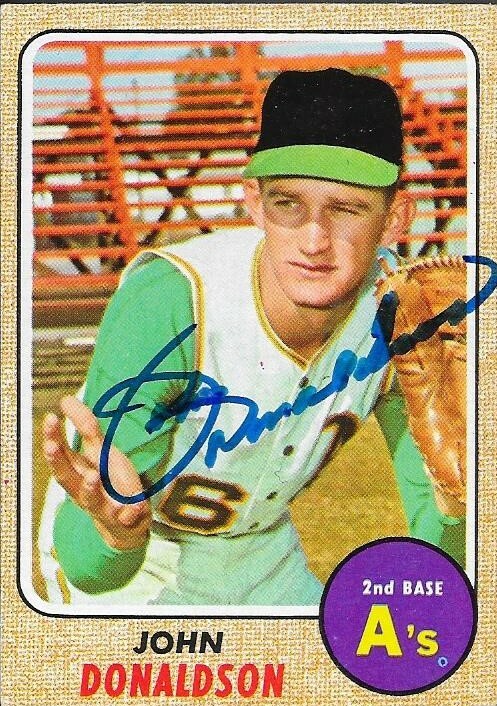 My other 1968 was the really bad Ken Holtzman auto, so I'm really glad I was able to get Donaldson on this one. Another reason I wanted to get Donaldson was because he lives in Charlotte. I always enjoy getting fellow North Carolinians TTM. 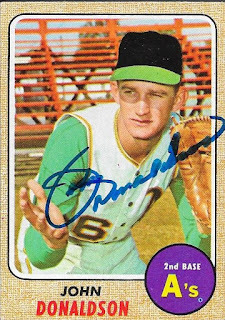 Donaldson had read my note and included this 1970 Topps showing him as a Seattle Pilot. That was so nice of him to include the card. It is in amazing shape, and looks awesome signed. I was blown away by Mr. Donaldson's generosity. I like this 1970 a lot more than the ones I have gotten so far. 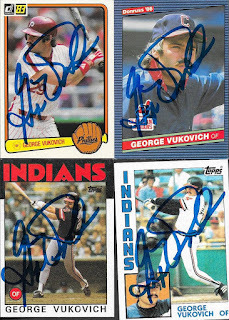 I ended up picking up a few of the other Pilots who sign TTM, so I will be trying to add a few more as time goes on. Donaldson (b.1943) played in the majors from 1966 to 1970 and 1974 for the Kansas City and Oakland A's and Seattle Pilots. He had 292 hits, 4 home runs and a .238 lifetime batting average. I mailed to Mr. Donaldson on April 11 and got the cards back on April 16 for a 5-day TAT. 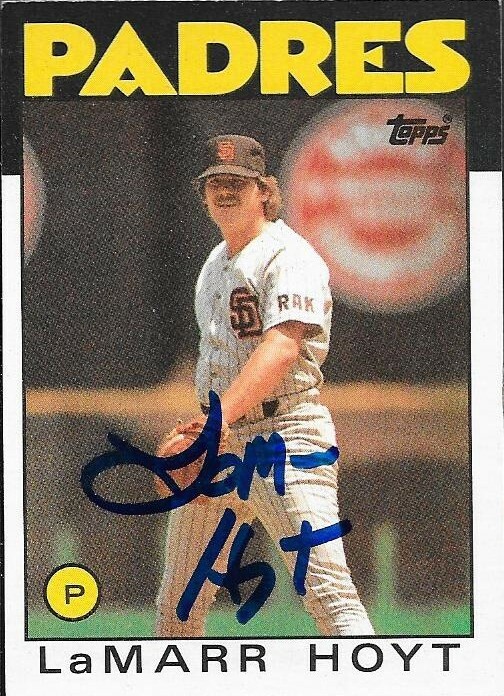 This was another really quick TTM success, which I think was mainly due to him living in NC. 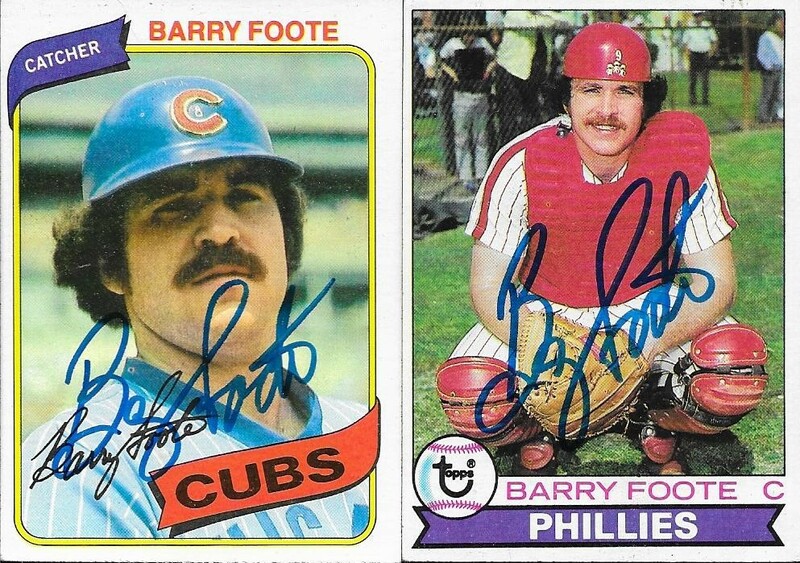 I received a nice TTM success on April 14 from former catcher, Barry Foote. 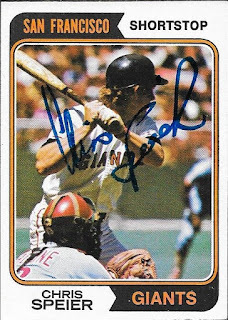 I got him on this nice 1975 Topps that I got from my buddy, Max. It turned out really nice, I think. I have done a really good job getting the 1975s that Max sent signed. Caught several HOF pitchers. All were great! Carlton, Sutter, Gossage and others!! Foote (b. 1952) played in the majors from 1973 to 1982 for the Expos, Phillies, Cubs and Yankees. He had 489 hits, 57 home runs and a career average of .230. I mailed to Foote on April 9 and got the cards back on April 14 for a 5-day TAT, one of the fastest that I have gotten. I haven't gotten as many TTM successes in this week, so I may be able to catch up on some posts soon. 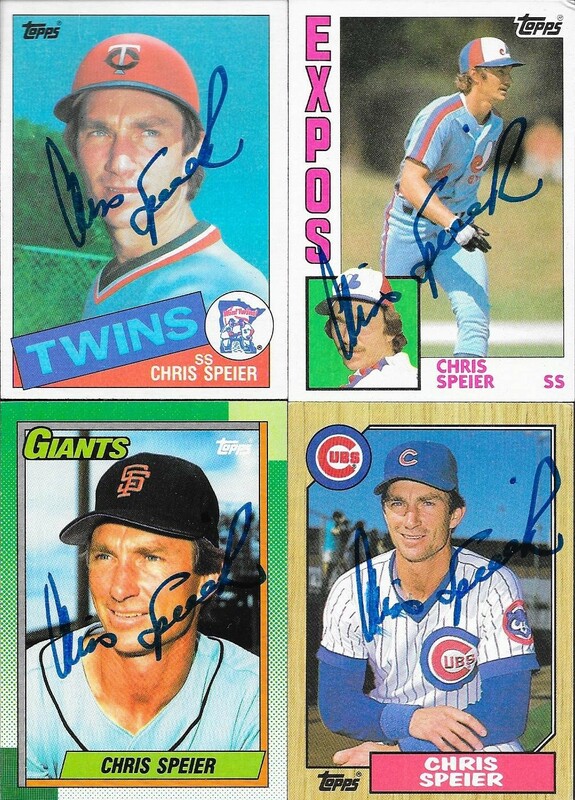 Here is a success I got on April 14 from Chris Speier. 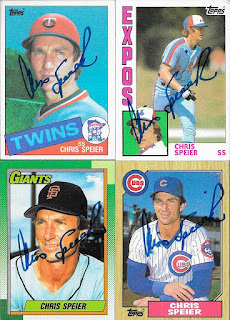 I actually had Speier in my pile to send TTM to for quite a while, and I kept adding and adding card options to the pile. I finally decided to send to him, so I chose what I thought were the best 5 that I had. 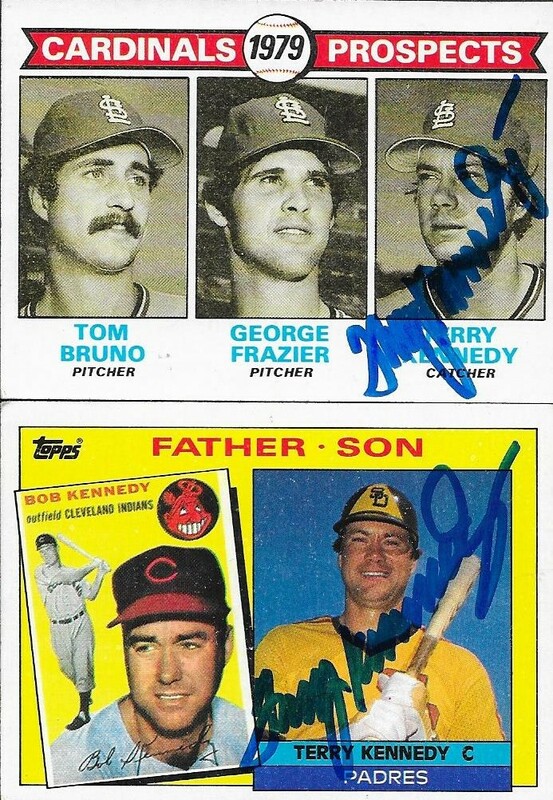 The above 1974 Topps turned out really nice, I think. 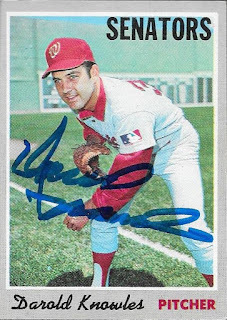 I don't have too many 1974s that I have been able to get signed, so that was one of the big reasons I chose that one. Here are the other cards I sent, an 84, 85, 87 and 90 Topps. They all turned out great, with the exception of some smudging on the 1987. Speier (b. 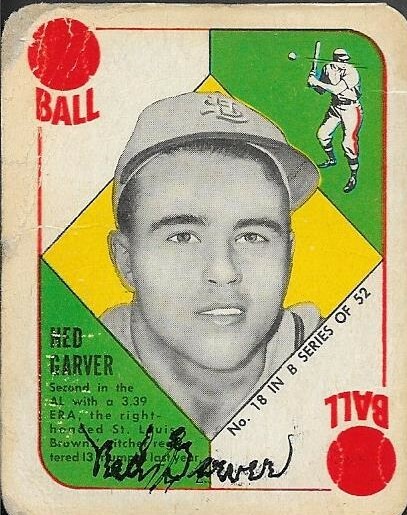 1950) played in the majors from 1971 to 1989 for the Giants, Expos, Cardinals, Twins and Cubs. He had 1,759 hits, 112 home runs and a career batting average of .246. He was a three-time All Star and finished 28th in the NL MVP voting in 1972. Speier appeared on the Hall of Fame ballot in 1995 and received 0.2% of the vote. I mailed to Speier on March 21 and got the cards back on April 14 for a 24-day TAT. 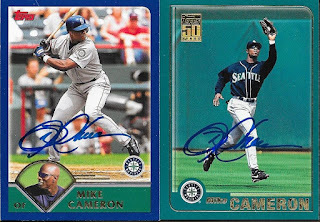 I got a really cool TTM from a recently retired player when I got these cards in from former player, Mike Cameron. I was really excited to get these back because those two Topps 206 cards really turned out great. They were the first ones I was able to get signed, and man, do they look awesome. 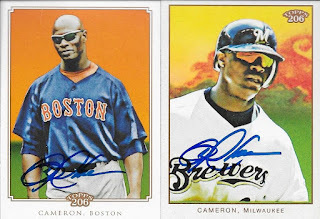 Getting Cameron also helped with my Topps Autograph Project. I added more cards from 2001, 2002 and 2003, and they all came out great. I asked Cameron for a Gold Glove inscription, but I didn't get one. He was probably so busy, he didn't catch that in my note. The cards came out grea, regardless. Cameron (b. 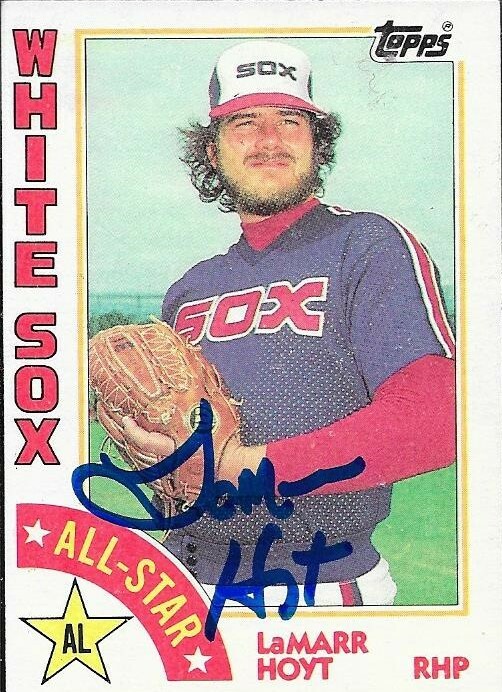 1973) played in the majors from 1995 to 2011 for the White Sox, Mariners, Mets, Padres, Brewers, Red Sox and Marlins. He had 1,700 hits, 278 home runs and a career average of .249. 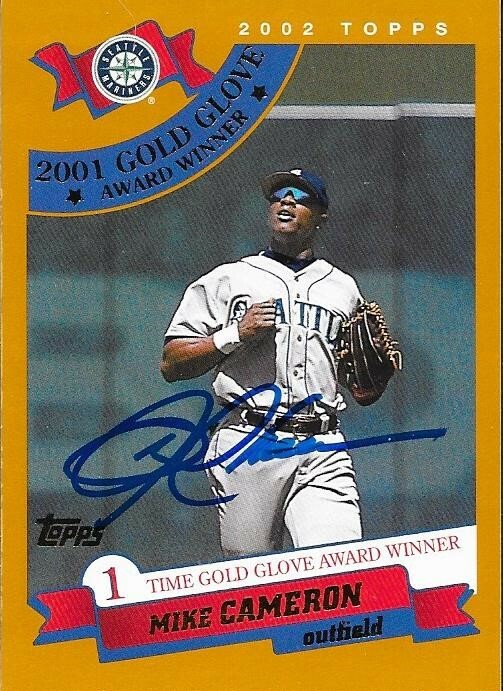 He was an All Star in 2001 and was a three-time Gold Glove Award winner (2001, 2003 and 2006). He finished as high as 16th in the MVP voting in 2001. I sent the cards to Cameron on March 28 and got them back on April 11 for a 14-day TAT. 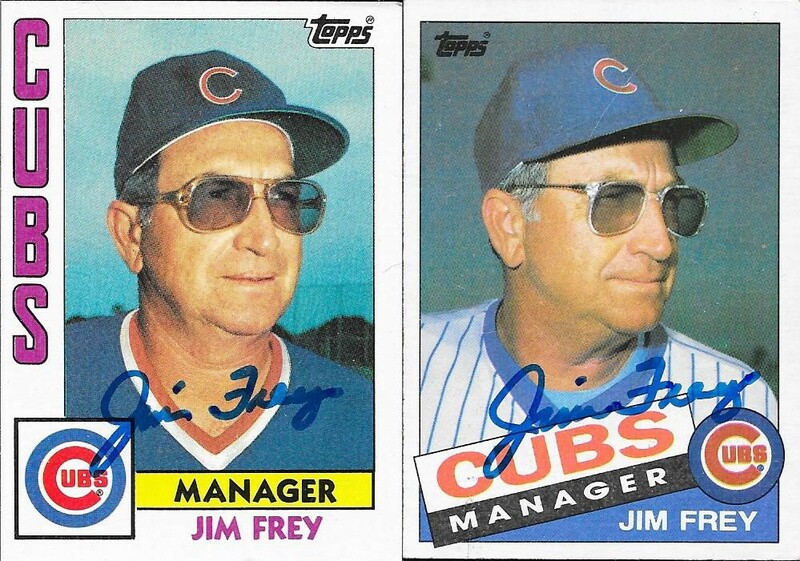 I was able to put a couple 80s cards to use when my good friend, Max, told me that former Cubs manager Jim Frey signed TTM. I got these 84 and 85 Topps signed, and they turned out really nice. Frey (b. 1931) managed the Royals in 1980 and 1981 and the Cubs in 1984, 85 and 86. He took the Royals to the World Series in 1980, losing to the Phillies. Frey took the Cubs to the NLCS in 1984 where they lost in 5 games, 3-2 (back when the NLCS was a best of 5 series). Frey was the NL Manager of the Year in 1984. I mailed to Frey on March 28 and got the cards back on April 11 for a 14-day TAT. 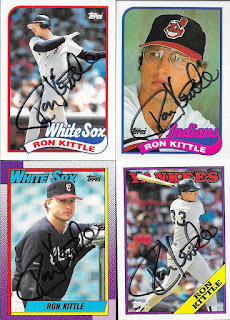 I got a great TTM success the other day (April 9) from former slugger, Ron Kittle. I mailed to him on March 28, and got the cards back 12 days later. I was really excited to get him because I heard from my friend, Max, that he was a really nice guy and would sign multiples for me. I got an 89 Topps, 89 Topps Traded, an 88 Topps and a 90 Topps. Kittle (b. 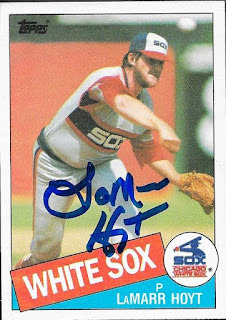 1958) played in the majors from 1982 to 1991 for the White Sox, Yankees, Indians and Orioles. He had 648 hits, 176 home runs and a .239 batting average. He was the AL Rookie of the Year in 1983. Some of my favorite cards are the Topps acetate inserts, but they have become increasingly harder to find. I, luckily, caught one via a saved search on Ebay and picked it up. The unfortunate part, though, was that another saved search revealed the platinum 1/1, which I was outbid at the last minute. One of these days, I will complete a rainbow. That dang platinum 1/1 will be what holds me back, but I will catch one and run with it. Watch and see. In the meantime, I'll enjoy some of these other parallels, like the acetate that I got. I think I have seen one other of these so far. I still have yet to pull one from a pack. They are some of the best looking inserts/parallels that I have seen. I got a TTM success from former player Eric Soderholm on April 8. I picked up the 1977 through 1979 from my local card shop and the 1975 came from my good buddy, Max. I mailed to him on March 28 and got the cards back 11 days later. Soderholm (b. 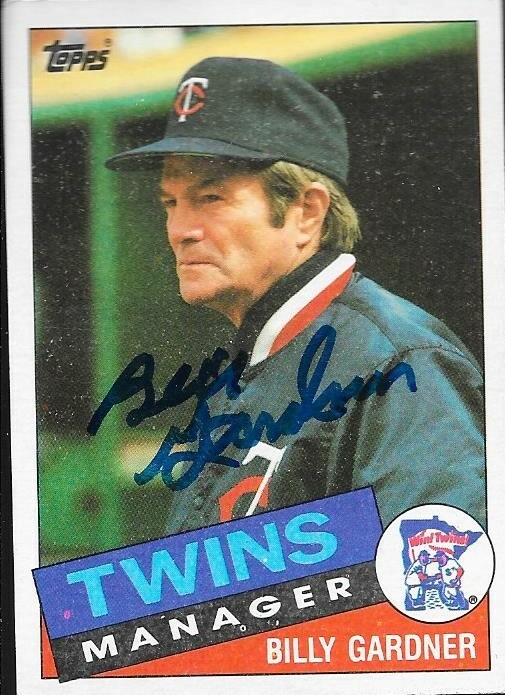 1948) played in the majors from 1971 to 1975 and 1977 to 1980 for the Twins, White Sox, Rangers and Yankees. He had 764 hits, 102 home runs and a .264 batting average. I was finally able to knock some early 2000s cards off of my list when I got a TTM success back from Marty Cordova. I picked up some of his stuff from Sportlots, since I don't have any bulk from the early 2000s, and I'm glad I did. The cards all turned out great. I have a couple other players that I sent to who were in those sets, so I should be seeing a few more soon. I was always a fan of 2001 and 2003 Topps. Those color borders were really bold and stood out. The only drawback to them was the over-glossing that causes the cards to stick together. Thankfully, Topps has gotten away from that. This Topps Total also turned out really nicely. This is a set that I have thought would make a comeback soon, but it still hasn't happened. The huge checklist was always a plus, but it was otherwise a bland product. Geared toward the super mega low end of the price point, Topps Total is what it is, a set where you can find that one guy who played for your team those four games. Something like that. Cordova (b. 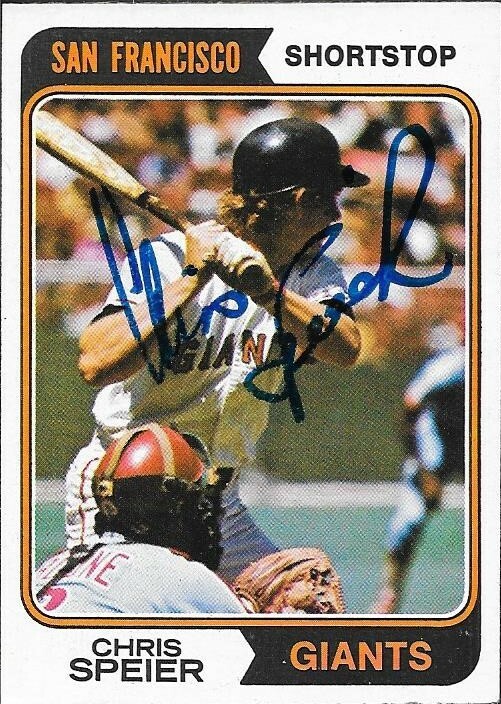 1969) played in the majors from 1995 to 2003 for the Twins, Blue Jays, Indians and Orioles. In his career, he had 938 hits, 122 home runs and an average of .274. He was the 1995 AL rookie of the year. I mailed to Cordova on March 28 and got the cards back on April 8 for an 11-day TAT. This success really helped knock out some years on my Topps Autograph Project. With everything I have to date, the only years I lack are 1961, 1995, 1996, 1997, 1999, 2008, 2009, 2015 and 2016. This project really is coming along! I received an awesome TTM success from someone I really didn't think signed when I got two cards back from former slugger, Dave Kingman. 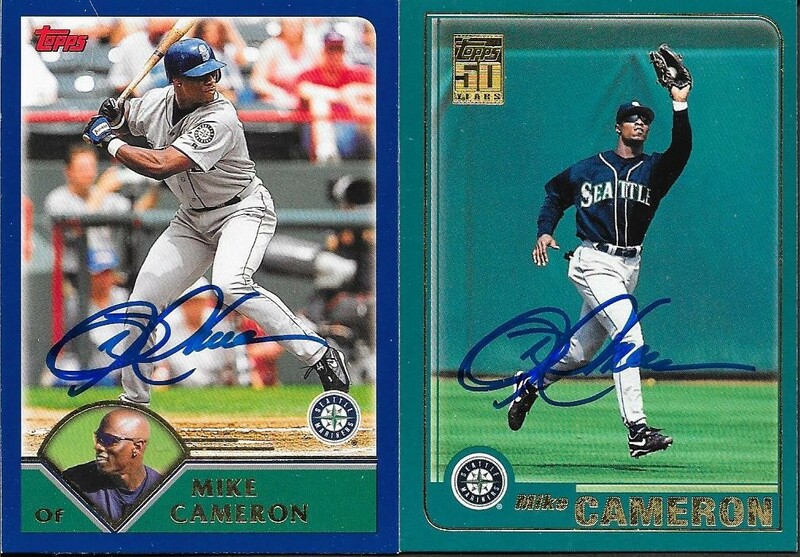 I saw on Sportscardforum that he was signing, so I grabbed a couple cards out of the boxes that Mom got me, and sent them on their way. Kingman (b. 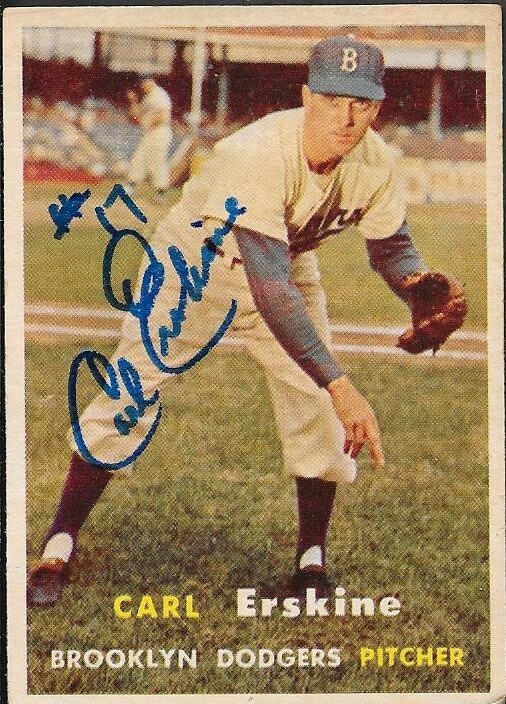 1948) played in the majors from 1971 to 1986 for the Giants, Mets, Padres, Angels, Yankees, Cubs and A's. He played for four teams in the 1977 season alone (Mets, Padres, Angels and Yankees). He had 1,575 hits, 442 home runs and an average of .236 in his career. 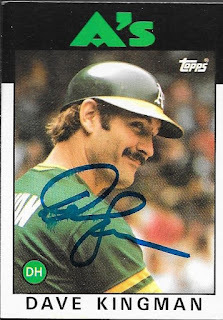 Kingman was a three-time All Star who led the league in homers twice (48 in 1979 with the Cubs and 37 with the Mets in 1982). He was a high strike out guy, leading the league three times and finishing with 1,816 in his career. Kingman finished the highest he would ever finish in the MVP voting when he finished 11th in 1979. Kingman only appeared in the Hall of Fame voting one year, 1992, and received only 0.7% of the vote. I mailed to him on March 24 and got the cards back April 8 for a 15-day TAT. One of the problems with being behind on posts is that I have everything I need to blog stacked up on my desk. When that stack gets knocked over, things kind of get out of order. I discovered yesterday that I missed posting a TTM success from a couple weeks ago. 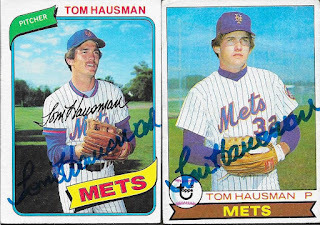 I got these cards back from Tom Hausman on March 29 after sending to him on March 19. 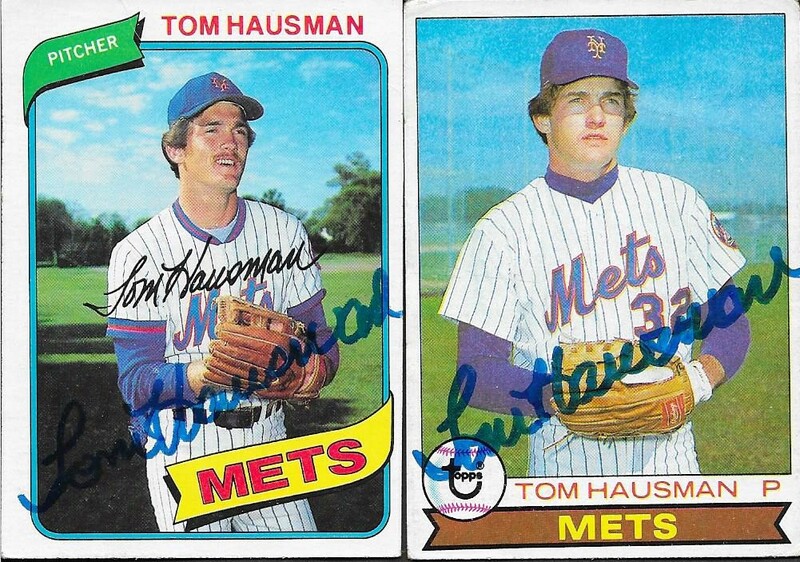 Hausman's signature turned out really nice on these 1979 and 1980 Topps cards. Hausman (b. 1953) played in the majors from 1975-76 and 1978 to 1982 for the Brewers, Mets and Braves. 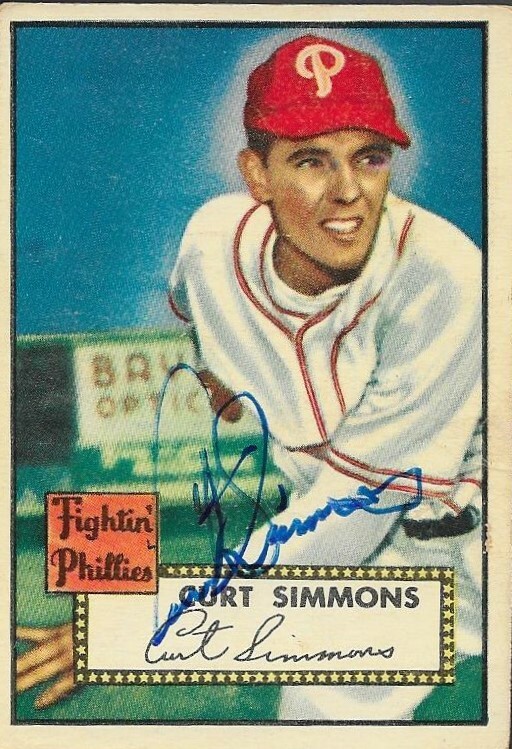 My buddy Andrew told me about a 50s player who signed TTM in Curt Simmons. I found a 1952 Topps at the card show last month, so I figured I'd add to the tally for that set. The card turned out great, and I'm glad Andrew let me know about him. Simmons (b. 1929) played in the majors from 1947 to 1950 and 1952 to 1967 for the Phillies, Cardinals, Cubs and Angels. He had a career record of 193-183 with an ERA of 3.54 ERA and 1,697 strike outs. He won the World Series with the Cardinals in 1964. He was an All Star 3 times and finished his highest in the NL MVP voting at 16th in 1950 when he went 17-8 with a 3.40 ERA and 146 strike outs. I mailed to Simmons on March 28 and got the card back on April 7 for a 10-day TAT. 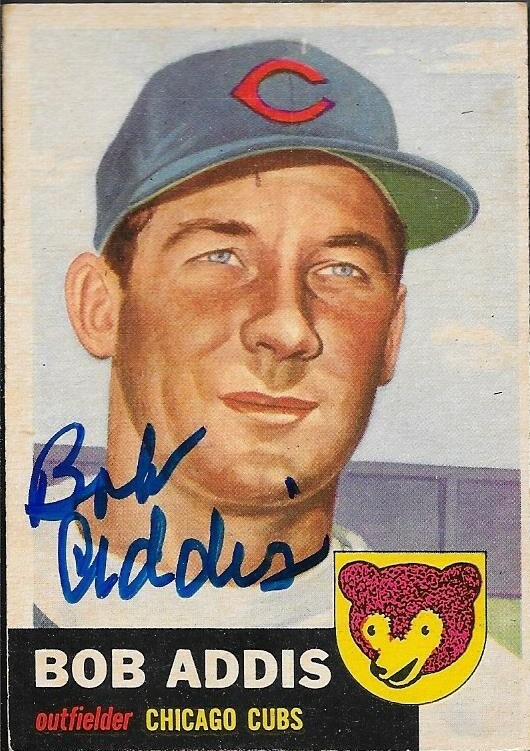 I received a really cool TTM success on April 5 from former player, Bob Addis. I was told by my good buddy, Max, that Addis signed TTM, so when I was at the card show last month, I picked up these two cards. I mailed them out on March 28, and got the cards back on April 5, which was an 8-day TAT. Addis (b. 1925) played in the majors from 1950 to 1953 for the Boston Braves, Cubs and Pirates. During those four seasons, he had 150 hits, 2 home runs and a .281 batting average. Addis was one of six Cubs sent to the Pirates in 1953 in exchange for Joe Garagiola, George Metkovich, Howie Pollett and Ralph Kiner. 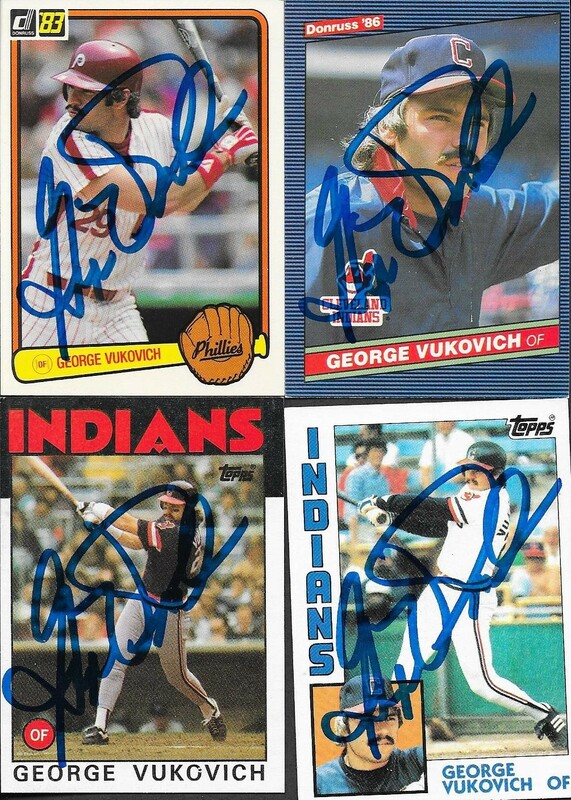 I got four cards back signed from George Vukovich on April 4. This is the last of the ten successes I got that day. Maybe I can catch up a bit, which would be nice. I mailed to Vukovich on March 19, and got the cards back 16 days later. Vukovich (b. 1956) played in the majors from 1980 to 1985 for the Phillies and Indians. 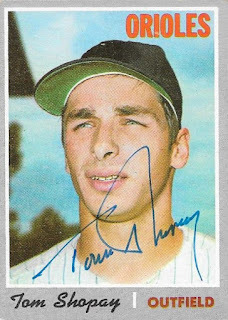 He had 430 hits, 27 home runs and a lifetime average of .268. Following the 1985 season, Vukovich's contract was purchased by the Seibu Lions in Japan, where he would play in 1986 and 1987. He played for Toledo in Detroit's minor league system in 1988 before calling it a career. 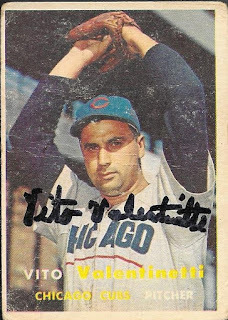 On April 4, I received my second TTM success from former pitcher, Vito Valentinetti. I mailed to him on March 28 and got the card back on April 4 for a 7-day TAT. The card is a 1957 Topps that I got cheap at the last card show that I attended. I figured that I could add him to my Topps Autograph Project, even though I got him on a ball a couple years ago. Valentinetti (b. 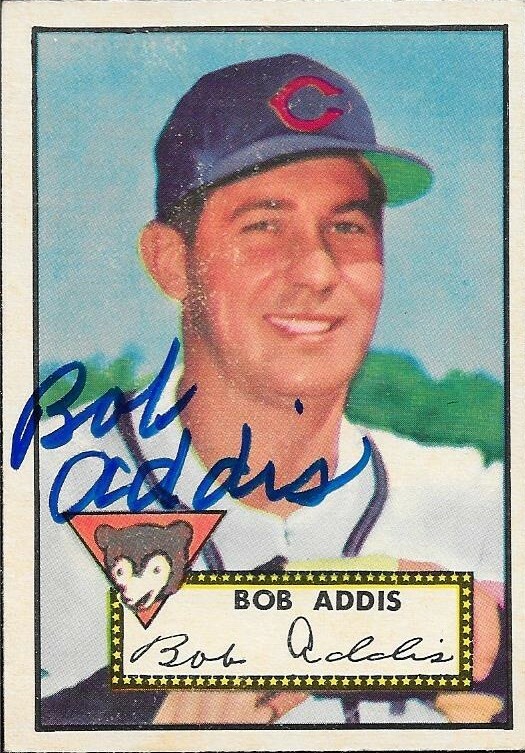 1928) pitched in the majors in 1954, then from 1956 to 1959 for the White Sox, Cubs, Indians, Tigers and Senators. He had a career record of 13-14 with an ERA of 4.73 and 94 strike outs. 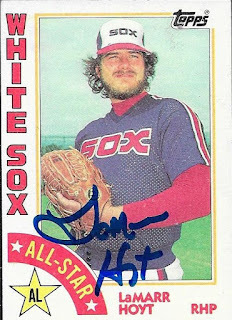 I have said before, but when I started this Topps Autograph Project, there were a few guys that I have gotten TTM before that I really wanted to try again. 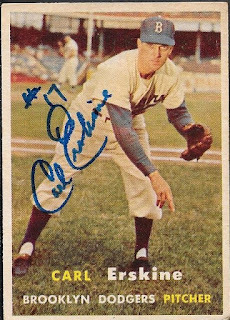 Carl Erskine was one of my best TTM successes back when I was sending out baseballs. He loaded a ball with inscriptions for me, which was awesome. This time around, the only inscription I got was #17, but it fits nicely on both of the cards I sent. The above 1956 Topps really looks nice. I was able to get a 1957 Topps signed as well. I didn't have a lot of them to start with, so I had to resort to Ebay to pick a few up to send out. I have since picked up some more guys, and sent them out, so you should be seeing some more 50s cards coming in soon. Thanks for writing and for the $5.00 donation to Special Olympics. Erskine (b. 1926) played his entire career for the Brooklyn and L. A. Dodgers. He went 122-78 with an ERA of 4.00 with 981 strike outs. He finished 9th in the 1953 NL MVP voting after going 20-6 with an ERA of 3.54 and 187 strike outs. He was an All Star in 1954. He won the World Series with the Dodgers in 1955. The Dodgers also won the World Series in 1959, but Erskine didn't appear in that Series, having thrown his last game on June 14 of that season. 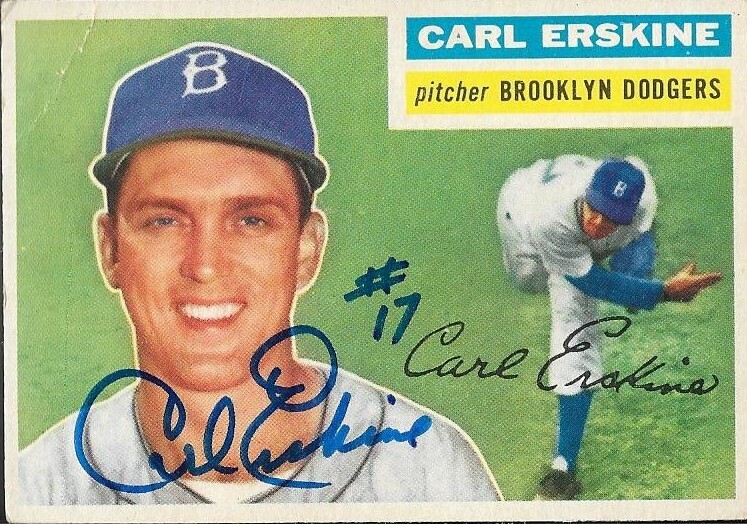 Erskine also threw two no hitters in his career. I mailed to him on March 24 and got the cards back on April 4, for an 11-day TAT. 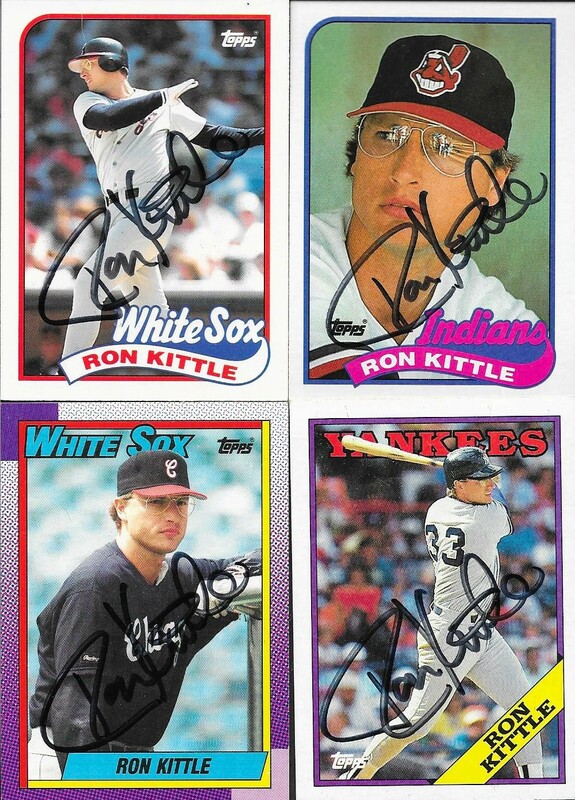 I had a really nice TTM success come in on April 4. 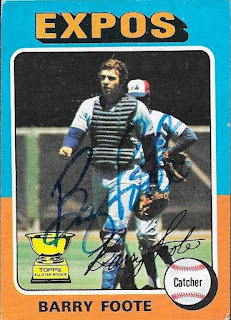 This 1970 Topps card of Tom Shopay turned out really nice. 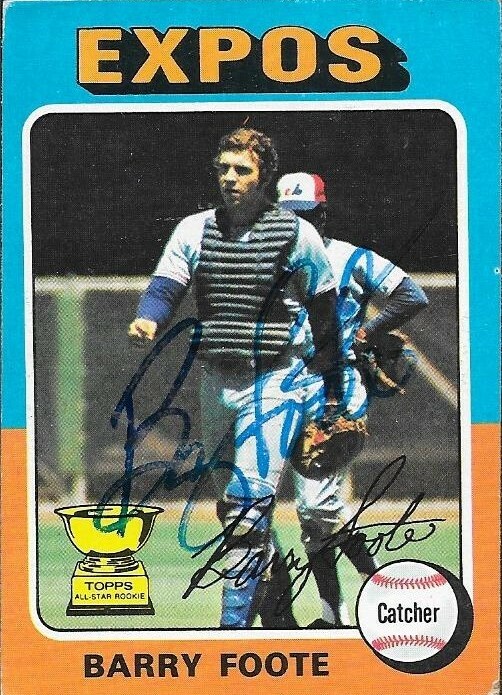 I bought the card off of Ebay because I had bought one other vintage card from a seller, and they were running a special for buy one card, get another half price, so I picked this because I had seen that Shopay signs TTM. 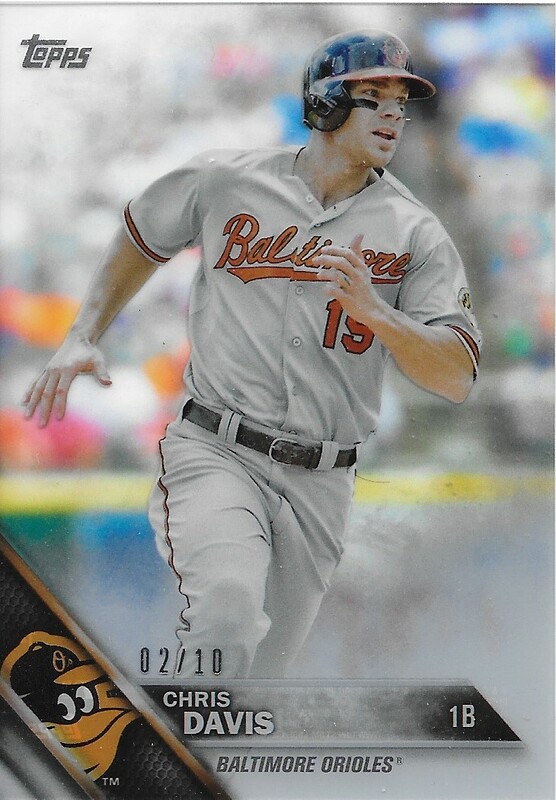 It also helped that he was a former Oriole. The card turned out great, but I was also pleased to received responses to the questions that I asked him as well. Did you enjoy your time in Baltimore? Really enjoyed the whole experience. What is your most prominent memory from your playing days? Playing in the 1971 World Series. My first major league home run. Mr. Shopay then signed my letter! Shopay (b. 1945) played in the majors in 1967, 69, 71, 72, 75, 76 and 77. He had 62 hits, 3 home runs and a .201 batting average. I mailed to him on March 25 and got the card back on April 4. I'm really glad I took advantage of that sale on Ebay! This was actually a fun TTM for me to do. Why? 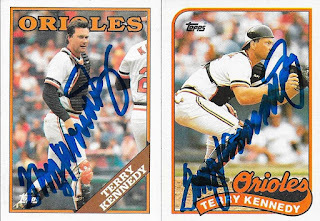 Well, I know someone named Terry Kennedy, so I was able to get a duplicate signed and sent to him, which made this success better. I also got some cool cards signed, which is always a plus. 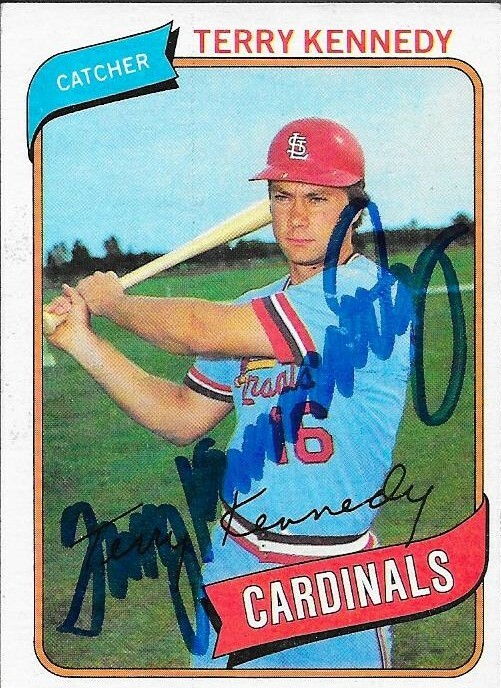 The above 1979 Topps Cardinals Prospects card turned out nice. I think I can get the other two guys as well, sine they both sign TTM. That might add some frequent flyer miles to the card. 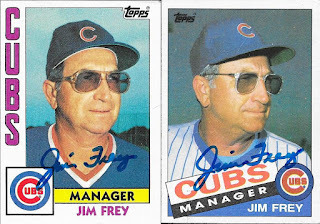 The same cannot be said for the father/son card from 1985 Topps. It would have been nice to get the elder Kennedy on that one, but sadly, he passed away in 2005. Still, the card looks nice. 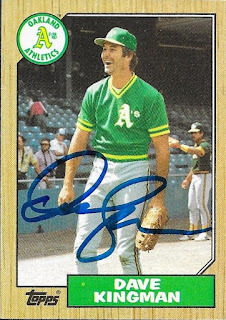 This 1980 Topps turned out great. I don't have a whole lot of those lying around, so getting this from my birth year was nice. 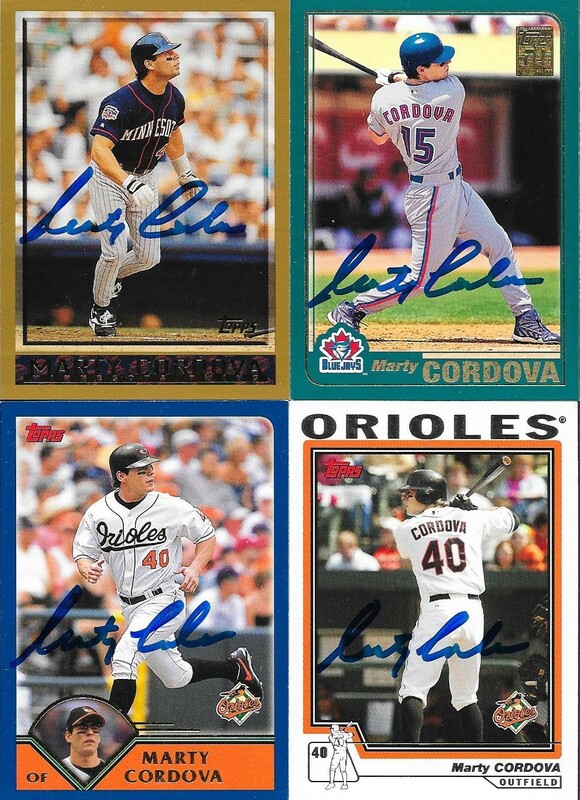 Finally, I added a couple of his Orioles cards from 1988 and 1989, and they look really cool, too. Kennedy (b. 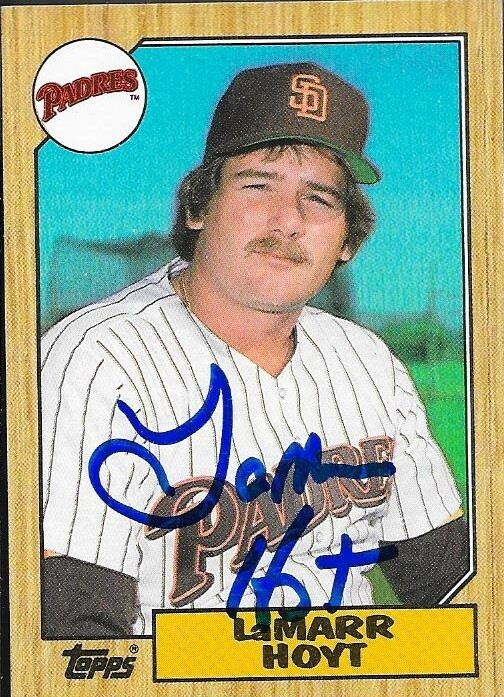 1956) played in the majors from 1978 to 1991 for the Cardinals, Padres, Orioles and Giants. He had 1,313 hits, 113 home runs and a career average of .264. Kennedy was a 4-time All Star, a Silver Slugger in 1983 and finished 10th in the MVP voting in 1983, his highest voting total. I mailed to Kennedy on March 18 and got the cards back signed on April 4 for a 17-day TAT. 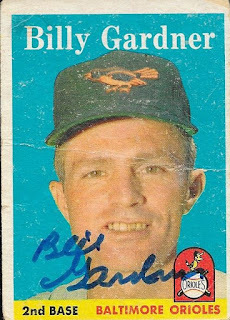 I received a couple signed cards in the mail from former Oriole and former manager, Billy Gardner on (you guessed it) April 4. The cards were mailed out on March 11 with my huge batch of vintage and came back 24 days later. The 1958 Topps was pretty rough, but it was the only card of him as a player that I owned. It still looks nice signed. It also helps me out down the road when I choose to branch this project out to former Orioles. 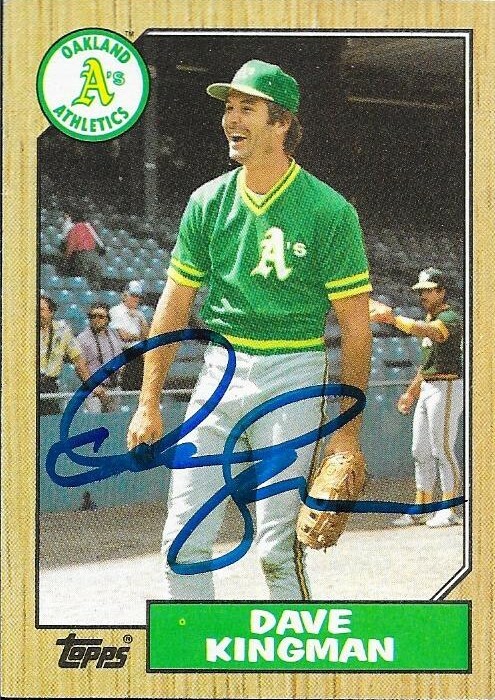 As always, a 1985 Topps card turns out nice. I have noticed that 1985 is slowly creeping up on 1987 for the most autos. As of today, counted cards that haven't been posted, 1985 trails 1987 14-17. Not bad, considering I have a ton of 1987s. Gardner (b. 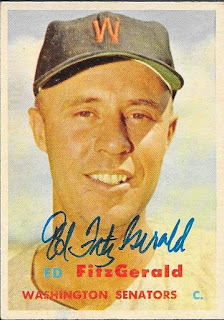 1927) played in the majors from 1954 to 1963 for the Giants, Orioles, Senators, Twins, Yankees and Red Sox. He had 841 hits, 41 home runs and a lifetime average of .237. He finished 12th in the AL MVP voting in 1957, his only time showing up in the voting. Gardner won the World Series with the Yankees in 1961. 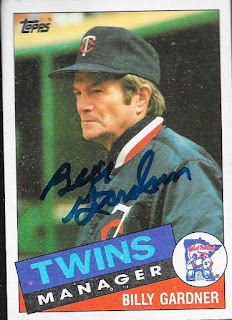 Gardner served as manager of the Twins from 1981 to 1985 and the Royals in 1987. He had a career record of 330-417. His Royals were in second place in the AL West before his tenure ended as manager after 126 games. 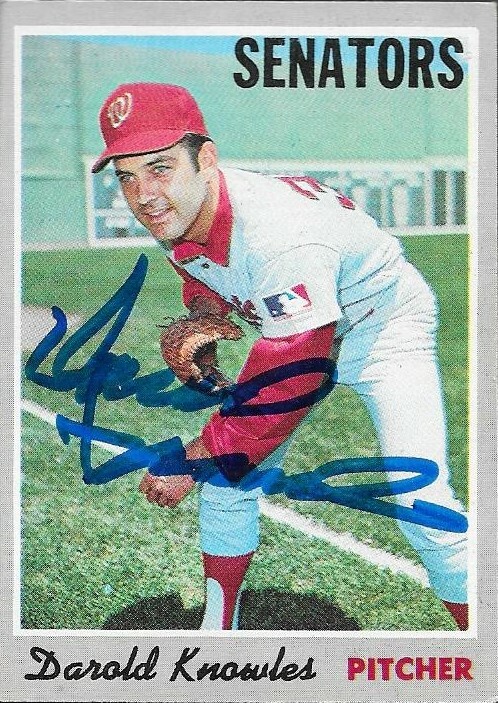 One of the many TTM successes I got back on April 4 was from former pitcher, LaMarr Hoyt. I mailed 4 cards to him on March 28 and got them back signed on April 4 for a 7-day TAT. When choosing what to send Hoyt, I had to go with this 1984 Topps All Star card, since it was sitting in the top cubby hole of my desk for years. I have no idea where it came from, but there it sat. For a long time. Now, it will finally reside in my TTM album, after being sent out into the world and coming back with a signature. I finally put it to use. I was able to get autos on some other nice Topps cards as well, like this 1985. I still contend that these look really awesome signed. This 1986 Topps turned out great as well. Much like the below 1987. I really liked getting this success from Hoyt. Hoyt (b. 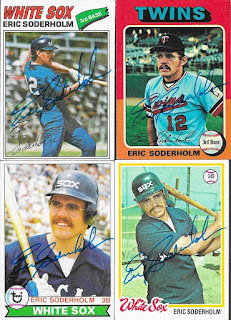 1955) played in the majors from 1979 to 1986 for the White Sox and Padres. He was the 1983 AL Cy Young Award winner after going 24-10 with a 3.66 ERA and 148 strike outs. He finished his career with a 98-68 record, with an ERA of 3.99 and 681 strike outs. He was also an All Star in 1985. Instagram Deal with Zach O.
I was approached recently by a guy from California about the 1990 Score Rookie and Traded box seen in the above picture. He didn't want the set and was willing to send it to me for free. I was amazed by the offer, but I didn't really want the set at first. He insisted, so I agreed to take it off of his hands. I guess he had a change of heart, and then decided he wanted to hold onto the set for the time being. He said that he did, however, have a ball he wanted to get rid of, and if I bought the ball off of him, he would go ahead and throw the set in the mix. 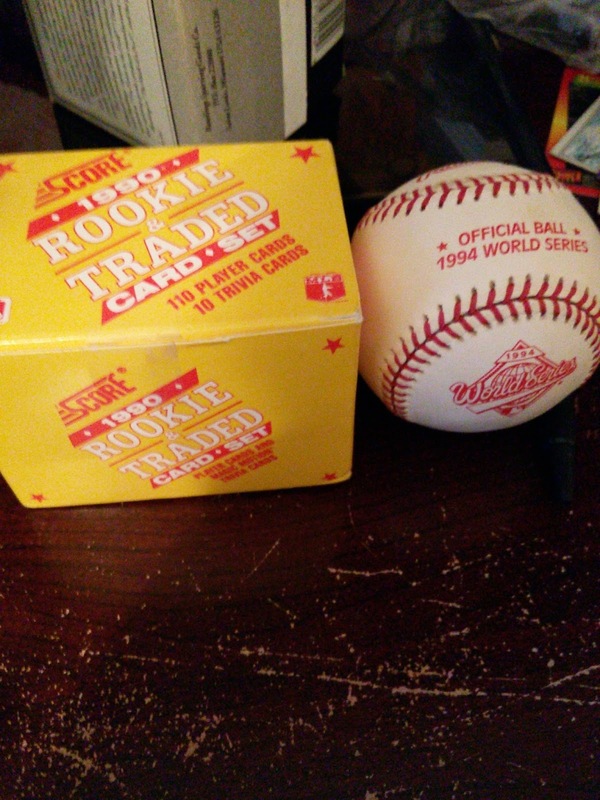 Well, for a ridiculously low price, I bought the ball, and got the set of cards. What happened afterward turned out to be pretty awesome. We got to talking, and it turned out that the guy sending me this stuff was someone who had been following me with his personal account since about when I first started trading on Instagram. Zach had been wanting to approach me for a while about a deal, but he didn't really have a lot he wanted to offer. I'm glad he finally did, because it turned out that he is a really friendly guy. We have hit it off pretty fast, and have had a lot of discussions about baseball, and life in general. He's a really good guy, and I'm happy that he messaged me about those 1990 Score. I'm going to put the set up with the rest of my completed sets, and not touch it. The ball came from the 1994 World Series that wasn't played, so I will put it with my other logo and specialty baseballs. Thank you so much for the deal, Zach! I really appreciate it, and I'm happy that I could make a new friend! 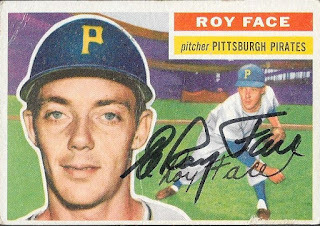 On April 4, I received a TTM success from one of the most prolific signers out there when I received these cards from former pitcher, Roy Face. Getting this success helped my Topps Autograph Project a bunch, because I was able to add a couple years that I didn't already have. This 1954 Topps turned out really nice. I have seen a couple of them come back so far, and they all look great. This 1956 Topps was already a cool card, but Face's signature makes it look that much better. I've picked up quite a few more '56 cards, so there should be some more coming in really soon. I didn't have any signed 1967 Topps cards yet, so getting this nice one in helped the project. Since I am currently working on that set (albeit at a snail's pace), I don't have very many extras to putt for TTM. Another set that I'm working on that has kept me from having any extras is the 1969 set. I don't have a single duplicate card from that year, so I have to go to Ebay and pick this one up, just so I could send it out. It turned out great, so I'm glad I picked it up. 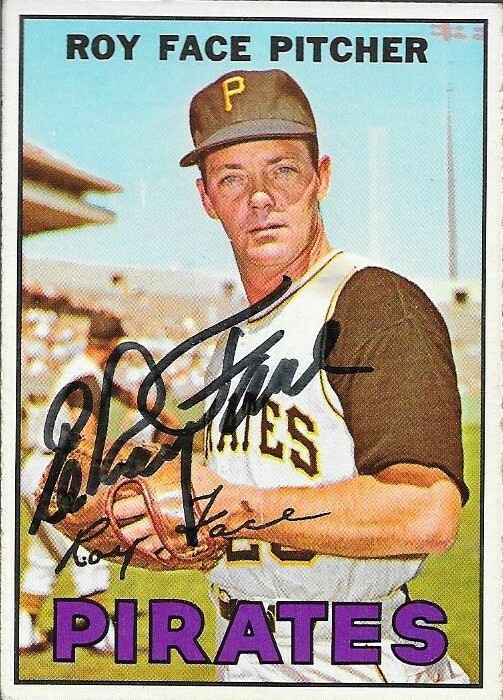 This card is also cool because Face was a Tiger at the time, but here he is clearly in his Pirates uniform. I guess they said to heck with airbrushing this one. Face (b. 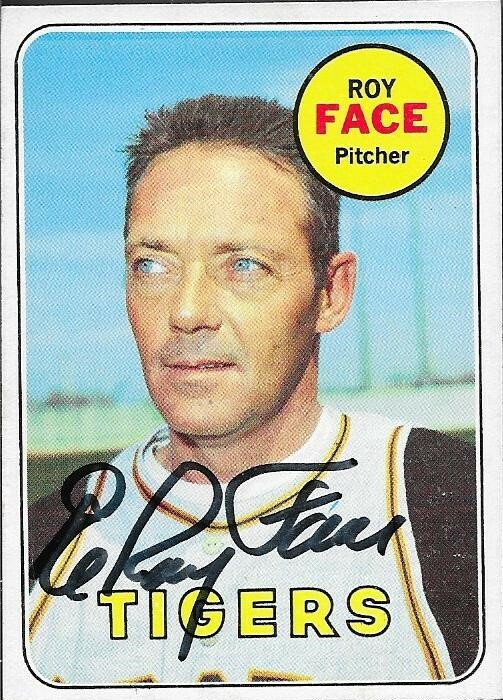 1928) played in the majors from 1953 and 1955 to 1969 for the Pirates, Tigers and Expos. He had a career record of 104-95 with an ERA of 3.48 and 877 strike outs. An early closer, Face also had 191 saves in his career, leading the league 3 times. 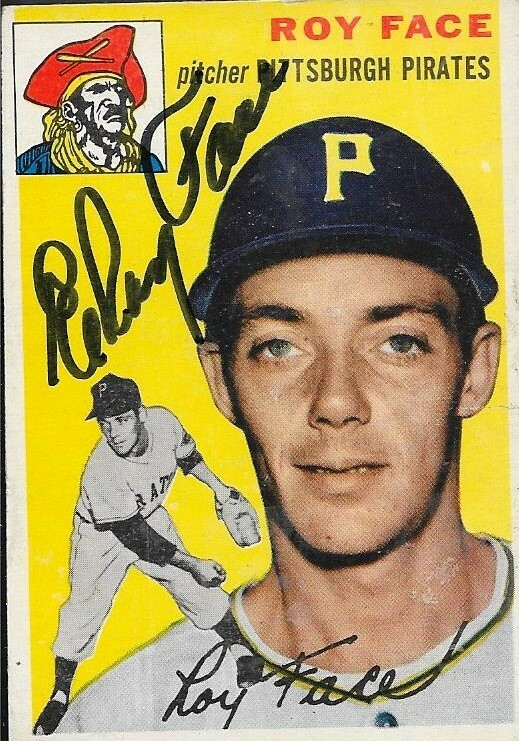 He was a member of the 1960 World Series Champion Pirates. 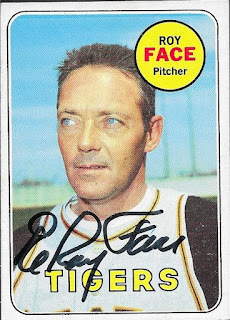 His best season was 1959 when he finished 18-1 with an ERA of 2.70 and 10 saves. He was named an All Star that season, the first of three times he made the Midsummer Classic squad for the NL. He also finished his highest in the NL MVP voting, at 7th place. At that time, the Cy Young Award was awarded to only one pitcher, won by the ALs Early Wynn. Had the award been separate at that time, Face would have made a strong case to win, his most stiff competition being Sam Jones who had a 21-15 record with a 2.83 ERA. I mailed to Face on March 28 and got the cards back on April 4 for a 7-day TAT. 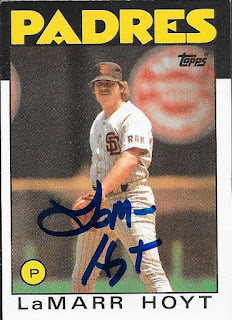 On April 4, I got a ton of TTM success, ten to be exact. 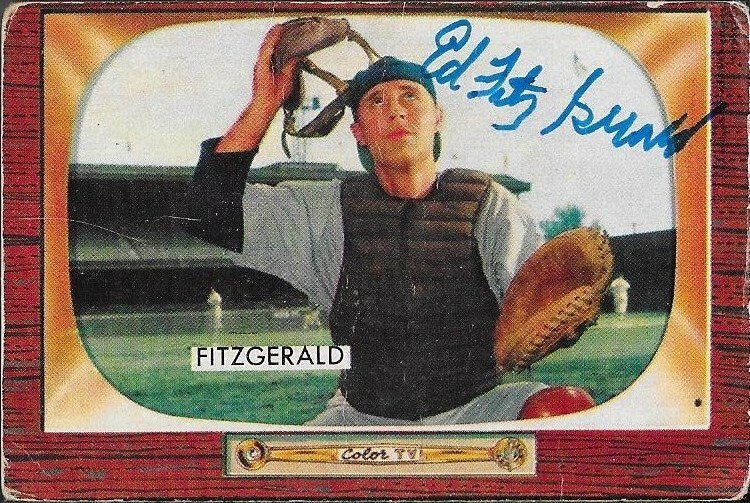 One I was really excited about was this return from former catcher, Ed Fitz Gerald. I picked up this 1955 Bowman at the last card show that I attended with the intention of getting it signed TTM. This is the only 1955 Bowman that I have attempted, but it sure looks awesome. I couldn't be sending out all of these requests and not include at least one of these, could I? I also found this 1957 Topps at the show and included it in my TTM request. I think this might be one of the best looking cards that I have gotten signed so far. The signature looks great and there is something to be said about 1957 Topps. Fitz Gerald (b. 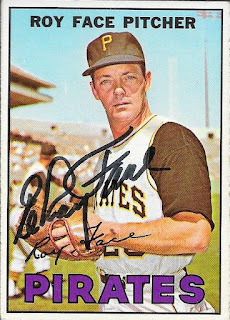 1924) played in the majors from 1948 to 1959 for the Pirates, Senators and Indians. He had 542 hits, 19 home runs and a career average of .260. I mailed to Fitz Gerald on March 28 and got the cards back on April 4 for a 7-day TAT. He even answered my questions by saying he enjoyed watching Buster Posey the most out of today's players and Brooks Robinson was the greatest player he ever saw play. Something I'm really loving about looking through all of these old Topps cards is being able to see all of the old uniforms. 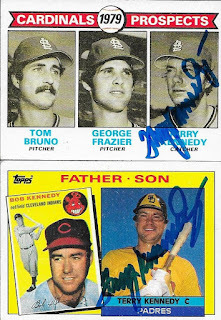 Some of the teams represented in the TTM success I have received are long gone. 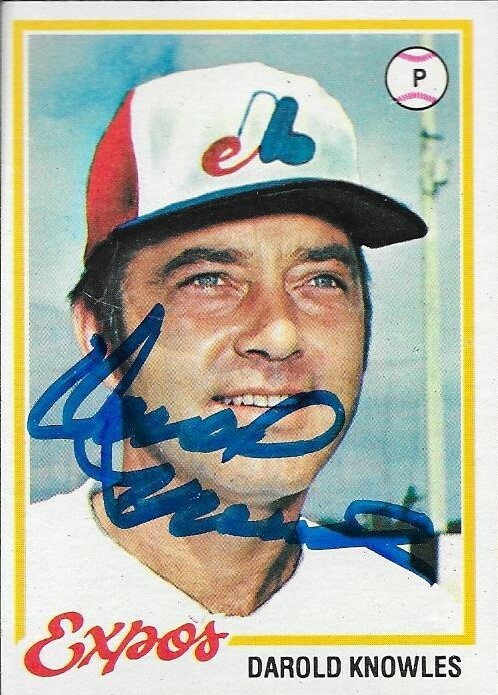 I have signed cards of Seattle Pilots, St. Louis Browns, Montreal Expos, etc. I really enjoy adding some of those to my autograph album. 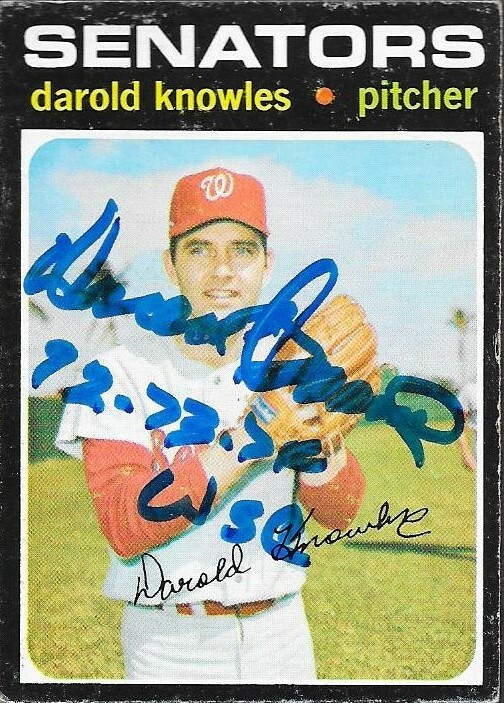 Here is a 1978 Topps of Darold Knowles that came in on April 4. Not only does it have him in an Expos hat, it is an airbrushed Expos hat. Look closely and you'll be able to tell that the logo is painted, instead of on the photo. My success from Knowles included another defunct team, the second incarnation of the Washington Senators. They would go on to become the Texas Rangers for the 1972 season. Knowles (b. 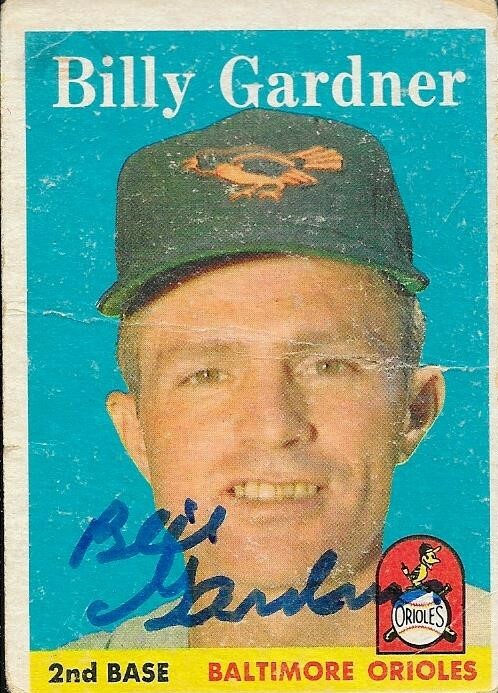 1941) played in the majors from 1965 to 1980 for the Orioles, Phillies, Senators, A's, Cubs, Rangers, Expos and Cardinals. He had a career record of 66-74 with an ERA of 3.12 and 681 strike outs. He also had 143 saves in his career. 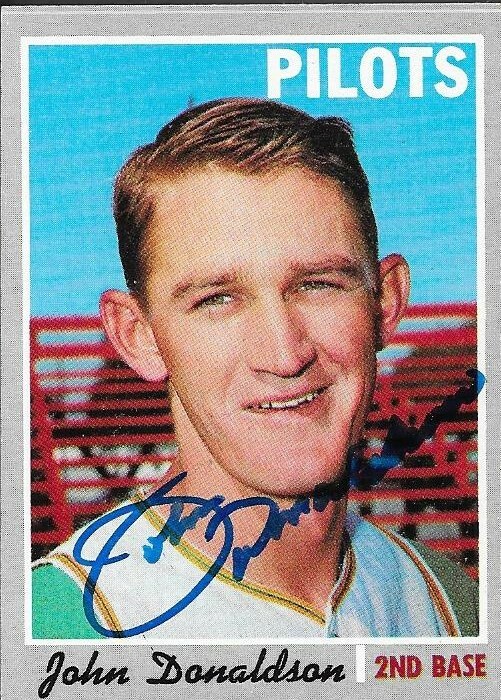 Knowles was an All Star in 1969 and a member of three World Series teams, the 1972-74 Oakland A's. He didn't make an appearance in the 72 or 74 Series, but appeared in all 7 games in 1973. He pitched 6.1 innings, allowed only 4 hits, one unearned run before earning two saves. I mailed to Knowles on March 28 and got my cards back on April 4, for a 7-day TAT. I got one of the best TTM successes in a while when all of this stuff came in from former pitcher, Ned Garver on April 2. I sent a check for $25 and two cards in hopes of adding some nice pieces to my Topps Autograph project. 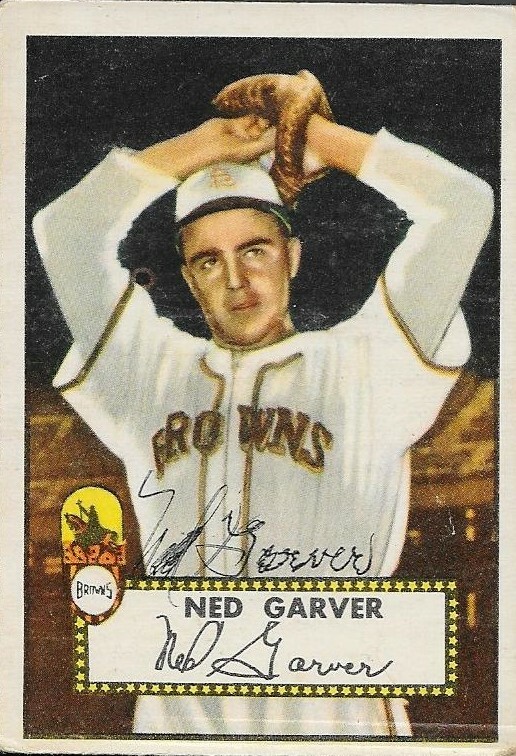 I was really excited about this 1952 Topps, since it showed Garver as a St. Louis Brown. 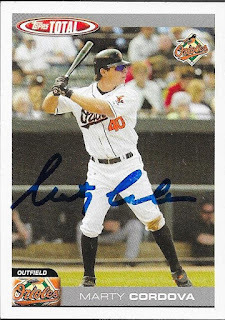 I think this card looks great, and turned out really nice when he signed it. It looks better in person. The card that prompted the TTM, though, was this 1951 Topps Blue Back. I wanted to make sure I had the Browns represented on the Blue Backs, and Garver fit the bill. I hope that after I complete my Topps Autograph Project, I can go back and do it again, but with Orioles/Browns cards. I think it is possible to complete that, as well. When I got my package in, I was pleasantly surprised that Garver included this card of his own that he signed for me. Also in a Browns uniform, this card turned out really nice. 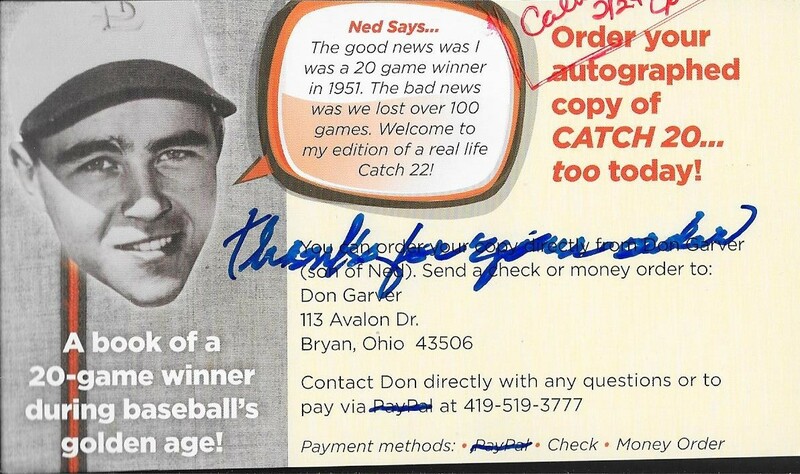 The $25.00 check was to order a copy of Garver's book, Catch 20, Too! Which came in a few days afterward. If anyone is interested in buying a copy of his book, the contact information is above. Thanks for the book order - hope you enjoy it. 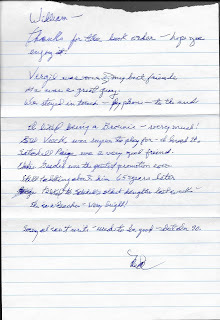 Virgil was one of my best friends. He was a great guy. We stayed in touch - by phone - to the end. I liked being a Brownie - very much! 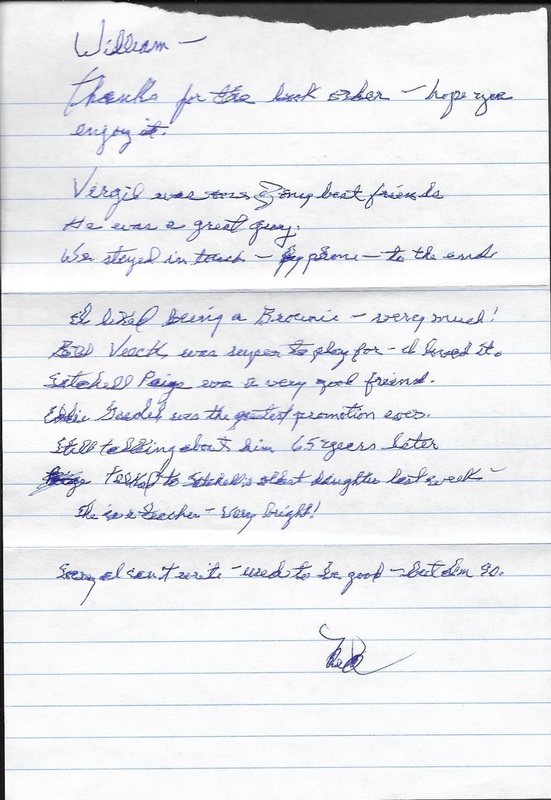 Veeck was super to play for - I loved it. Satchel Paige was a very good friend. Eddie Gaedel was the greatest promotion ever. Still talking about him 65 years later. Talked to Satchel's oldest daughter last week. She is a teacher - very bright! Sorry I can't write - used to be good - but I'm 90. Garver (b. 1925) played in the majors from 1948 to 1961 for the Browns, Tigers, A's (Kansas City) and Angels. He had a career record of 129 - 157 with an ERA of 3.73 and 881 strike outs. 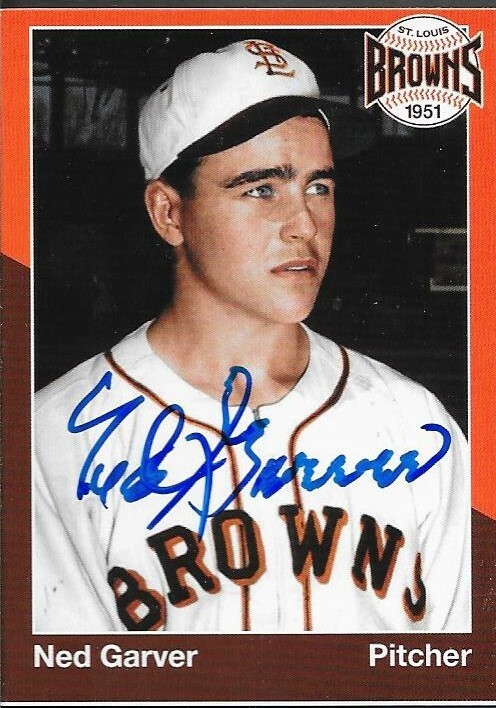 He won 20 games for the Browns in 1951 and finished 2nd in the AL MVP voting. He was also named an All Star that season, and was the starting pitcher that year. His 2nd place finish in the 1951 AL MVP voting was the highest he would finish. He amassed 157 voting points, but that was not enough to overcome the 184.0 points of MVP winner, Yogi Berra. I mailed to Garver on March 23 and got the cards and note back on April 2, for a 10-day TAT. The signed book came in on April 5. Surprise Care Package From Adam K.